Had a long composing career, during which his compositional style kept evolving. Among his most famous works are Rigoletto, Il Trovatore, La traviata, Don Carlos, Aida, and Otello. 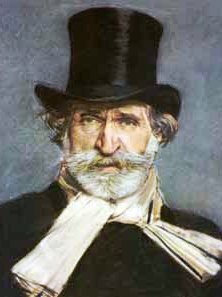 Mocked by critics during his lifetime and even today as melodramatic, Verdi's operas today dominate the world's stages.